RUSH: I’ve had a number of emails that tell me, “You can’t be serious in what you said about the iPhone and phone numbers.” I was, folks. I’m gonna tell you a couple other things, ’cause it’s fascinating. This is the kind of stuff that… I don’t know. It just amazes me. Now, the purpose of this feature is to help you know, when your phone rings, whether it’s from somebody you know or not, which will be a big factor in whether or not you answer it. It looks for that number in your address book. If it finds it, then it goes ahead and rings, and if you have a picture of the person in your phone book, that picture will show up on the splash screen when your phone rings. If the number calling you is not in your address book, the next thing the phone does is scour all of your emails looking for that number that may have been included from somebody that you casually know who had sent you their number but you have not put it in the address book yet. But the purpose of this is to be able to identify for you who is calling. If there is a name associated with that number, the name will appear on the splash screen. You can even have your phone announce the name. If you go to phone settings, turn on the setting to announce the name, your phone will tell you the name of the person calling, as it rings. So, if the number calling you is unrecognized after it searches your address book and your emails and your text messages — anything. If the number is not recognized, the number will display, and that is a signal it’s somebody you don’t know, and then that guides you in whether or not you want to answer it or not. Pure and simple. But it does everything I just told you it does before the phone even rings. That’s how fast these processors have become. It’s a speed that you can’t conceive. If you are an AT&T customer (and I assume other carriers provide this), AT&T has a feature called NumberSync. Let’s say you have a phone and an iPad and a laptop and all three are signed in to iCloud under the same Apple ID. You can choose to answer an incoming call on your iPad when it comes to it. It’ll ring on your iPad as well as your phone. It will ring on your computer. You can place calls from your iPad and your computer, just by clicking on a number. It’s a feature called Handoff. It works with the phone. Now, AT&T’s feature is called NumberSync, and NumberSync does this without your phone even being nearby. I can be on the golf course with a backup phone and my primary phone at home. If somebody calls my primary phone, it’ll ring on the backup phone on the golf course with AT&T’s NumberSync. Without forwarding it, it just does it — and then, of course, Wi-Fi calling. This is even more incredible. If you live in an area or you happen to be in an area with very weak cell signal but you’re on a Wi-Fi network, you can make the phone call and it will automatically go out over the Wi-Fi network, and you can answer calls over the Wi-Fi network. And the great thing about that, the audio is HD. Just not cellular. All this stuff, to me, is mind-bogglingly fascinating. And that’s why I continue studying it, trying to stay up on the latest of it. But what I said about your phone being able to determine whether or not you know the person calling before it even rings is true. But for it to work, you have to have every number you know entered into your address book attached to a name. RUSH: Okay. I don’t want to spend a lot of time on this. If I have time, you know, I should actually do a section on the website for this tech stuff, which I’ve been meaning to do for a while. But people have been asking, “How do I turn on these things you’re talking about?” Folks, look, Wi-Fi calling is in… This is for an iPhone and it’s AT&T. That’s what I know. It works for Verizon as well, same thing. You go to settings, and once you’re in the phone settings, you’ll see a toggle switch for Wi-Fi calling. 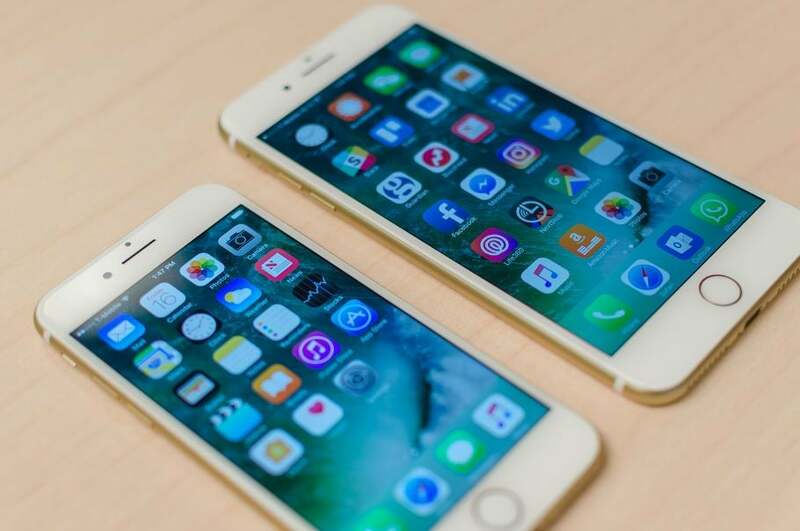 Now, you have to have your Apple ID on all these devices that you’re gonna share. They have to be signed in the same account. Just turn Wi-Fi calling on, and it’ll ask you a couple questions and it’s on, and you’ll see the Wi-Fi logo when your cell signal gets weak. Then the NumberSync that will have calls to your primary number ring on your iPad or on your computer or other phones? That’s called “calls on other devices,” and you turn that on, and then you will get a NumberSync splash screen. It’s not explained. It’s one of two things: You can have your other devices ring when your phone is nearby. NumberSync allows your other devices to ring when your phone isn’t nearby. And you’ll know which is which ’cause when you toggle calls on other devices, if NumberSync is operative, it’ll say “on.” If NumberSync isn’t active, it’ll say “when nearby” or something like that. That’s how you know. It’s gonna be hard for you to remember this, I know, but people have been deluging me here with questions about this in the email. I know. There’s not enough time spent by manufacturers in explaining all these features. I mean, this just scratches the surface. 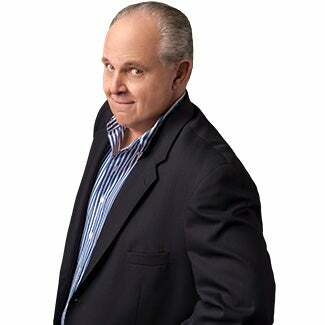 RUSH: A couple news stories just broke. This is in the BBC. Look, now the staff is eagerly hunting the location and the settings for what… (interruption) Did you find it all in there? They’re so engrossed they’re not even responding. This is what happens. You get so engrossed you don’t hear people talking to you.